Are you dreaming of living off-grid, or asked yourself the question, “Is living off-grid an option for retirement?” If you live in an urban area and have yearned for a simpler life, moving out of town and becoming self-sufficient can be very fulfilling. With the trend in tiny houses, and celebrities like Ed Begley, Jr. and Darryl Hannah promoting off-grid living, this method of sustainability is gaining in popularity. According to Home Power Magazine, 180,000 families in the United States live off-grid. The Internet and readily available “how-to” guides have made it easy to learn what it takes to leave the rat race and become self-sufficient. While most off-gridders are families with children, there are a number of retirement-age couples that find the off-grid lifestyle very rewarding. Not wanting to slave away at a job until the age of 70, these tenacious individuals have quit their jobs and followed their dreams of living a more stress-free, healthy, and satisfying lifestyle. In conventional terms, it means self-sufficiency without reliance on public utilities such as electricity, water, sewer, and natural gas. Homes generate power with alternative sources such as solar or wind, and water comes from an underground well instead of the city water supply. If living completely off-grid sounds like utter nonsense, and you can’t wrap your head around building a house with solar panels or digging a well, I have a solution for you. I’ll call it semi-off-grid living, or more appropriately, minimal living. Think of off-grid living vs. minimal living this way. When you bake a cake from a box it isn’t completely homemade. You toss in a few ingredients, run the mixer, fill the pans, and put them in the oven. Having the flour, butter, cocoa, and vanilla, much less growing the wheat and grinding the berries is not a requirement for success! The cake is moist and delicious, but it’s semi-homemade. Compare minimal living to baking a cake from a box; you take measures for self-sufficiency, but you still have an electric bill. As city-slickers turned rural dwellers for the last 12 years, I can testify that minimal living is the way to go. We sold the house, got out of debt, and pay cash for everything while living productive and abundant lives. True, there have been some jobs here and there to help pay the bills, but nothing permanent. It’s been a truly rewarding and enriching life. We live in a nice home, eat home-grown vegetables, enjoy watching wildlife from our back door, take trips, entertain, and are part of the community. Think of times past when people paid for merchandise when they purchased it, as opposed to charging everything under the sun. Empower yourself. Lift the burden of debt and lessen money-related stress. Determine where you will live – In order for this to work, you may have to remove yourself from the judgemental eyes of friends and family who may think your ideas are nutty. They may likely put pressure on you to continue the old lifestyle, and expect you to adhere to the status quo. If you can sell your house, and move a reasonable distance, you are less likely to be fearful of the peer group giving you the eye-rolls. Benefit by starting a new adventure and living life to the fullest. How will you earn your living? 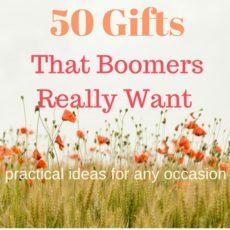 – Presuming you are like most boomers, you don’t have a stash of cash set aside to take you all the way to the rainbow bridge. No worries. That’s part of what rebel retirement is all about; not falling into the trap of working till you drop because some financial planner says you should. Put your thinking cap on, and consider the field of all possibilities. Perhaps you can sustain yourself selling vegetables at a weekly market, open a bait shop for local fishermen, or start an online store selling artwork you’ve fashioned in your garage. What did the 12-year-old you always want to do? -Get rid of cable and/or satellite television services. Stream movies and tv shows from your computer. Get your news from there, too. You’ll be better informed and may find yourself reading more books. -Get rid of gym memberships. Exercise by taking walks, hiking, and cycling. Work out to videos on Youtube. You also might like chopping wood. -Start an organic vegetable garden. Benefit from the healthful nutrition of growing your own natural foods, while saving on the cost of groceries. -Raise chickens. I would do this, but bears would relentlessly tear away at the chicken coop. I have heard that you’ve never tasted chicken until you’ve eaten a really fresh one. -Heat your home with wood. If possible, heat your home with wood. Wood stoves provide comfortable, even heat. And it does away with a monthly heating bill. I am so much a fan of wood stoves that the occasional time or two when we turn on the forced air, I think the noise and quality of heat, unsatisfactory. Whether you decide to live off-grid, or semi-off-grid, it doesn’t mean that you will be living in a rickety-run-down old shack in the middle of nowhere. There are plenty of nice communities where you can live a simple, minimal lifestyle. Don’t let negative opinions paralyze you. Once you take steps toward self-sufficiency, your growing independence will result in a happier, healthier you. Much of your success will be your attitude. Think it over. What are your goals? Catherine King and Wayne Adam’s self-sustaining island lifestyle may be a bit over the top for me, but they certainly provide a wealth of inspiration! Check out the video here.